One of the most popular whole grain, non-wheat flours available, this wholemeal spelt flour is suitable for bread and pasta, and in many specifically wheat-free recipes. 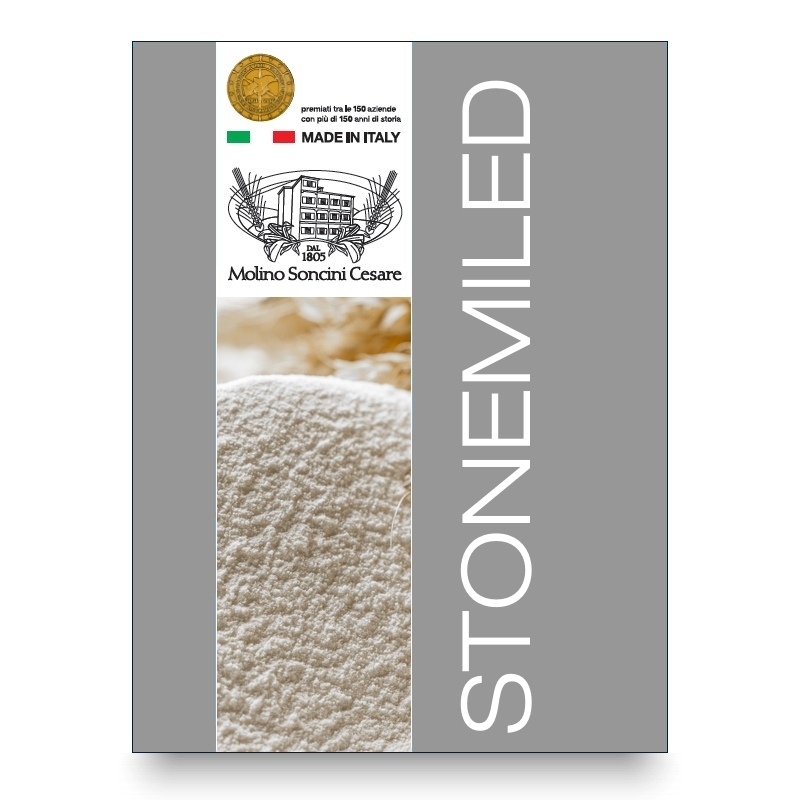 It is also suitable for biscuit-type sweets, but also grissini and similar bread products. The grain is cleaned and stone-milled in a secure plansifter in order to remove any rough pieces, and separate the flour from waste elements. This product is not made with genetically-modified ingredients.